Ah I love the glitz and glam of New Year's Eve! I feel like glitter and sequins are a must-have for a NYE outfit, and as you'll see below, there's definitely a lot of sparkle in my NYE look for ringing in 2015. Do you have any New Year's Resolutions for 2015? 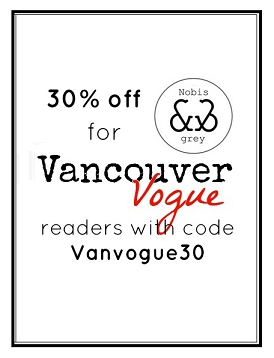 I'm working on some new goals for Vancouver Vogue that will help make 2015 our best year yet! One of my biggest resolutions is to be on Vancouver Vogue's social media every single day, posting at least once a day! I'll do my best to keep it up... What are your New Year's Resolutions? If you'd like to see how I got the make-up look in this outfit post, the video I filmed with London Drugs Cosmetics will take you step-by-step through how to get the look. It's actually super easy, and you can find the sparkly Lise Watier liners used the make the look at London Drugs stores. 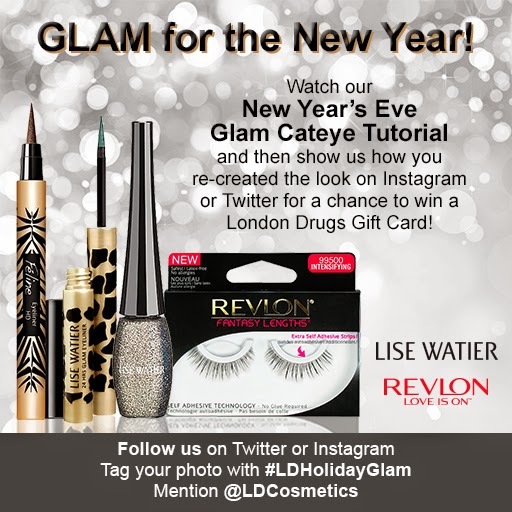 If you do try the glitter cat-eye look, make sure you share a photo of the finished look with London Drugs' #LDHolidayGlam contest...you could win a $100 gift card! See contest details for how to enter. The contest closes January 2nd, 2015 at 11:59am PST so get your entries in soon!